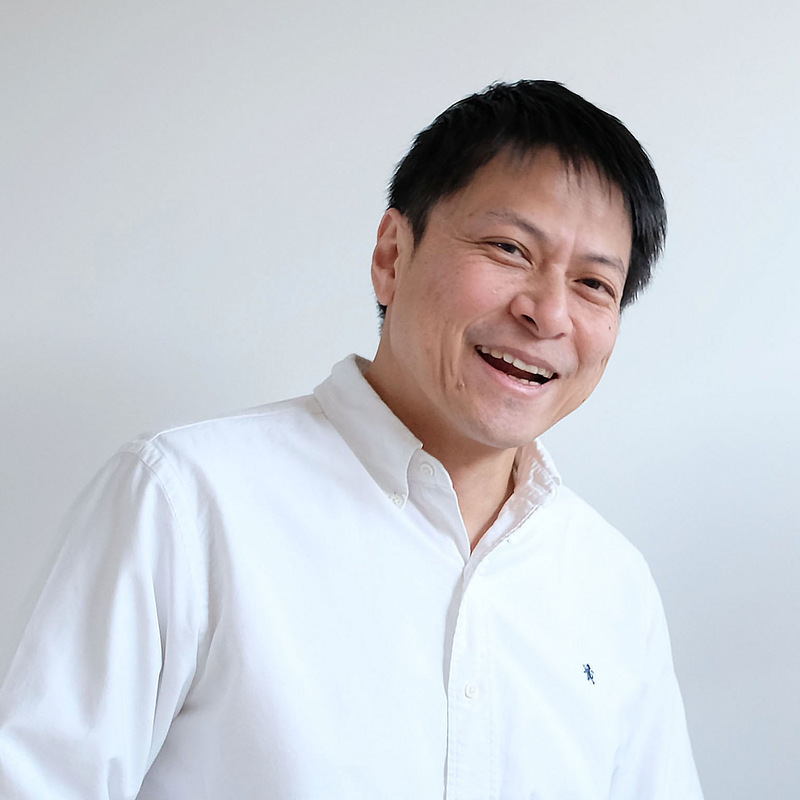 OJI Masanori collaborated with various fabricants for almost 2 years in order to launch NELCCO, a nel drip coffee maker. 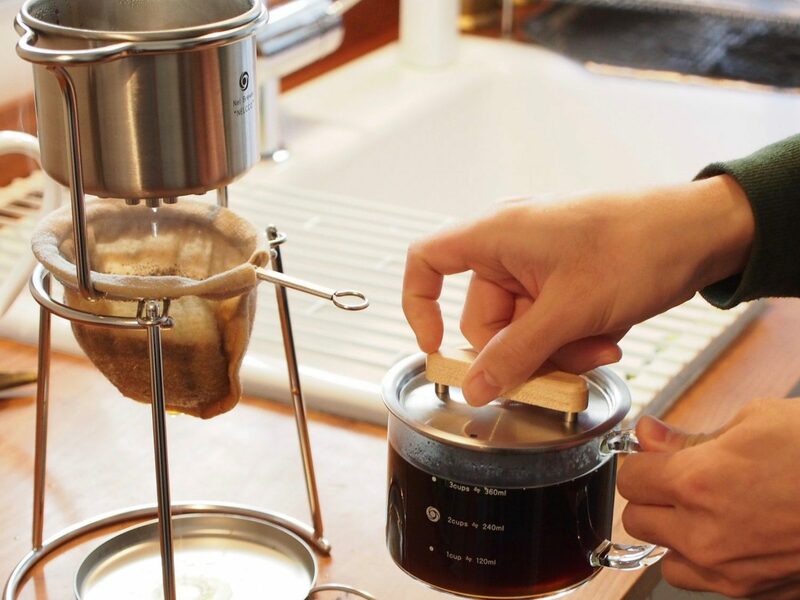 NELCCO aims for anyone to be able to make the best coffee at the office, at a shop or even at home, without the use of complicated techniques. 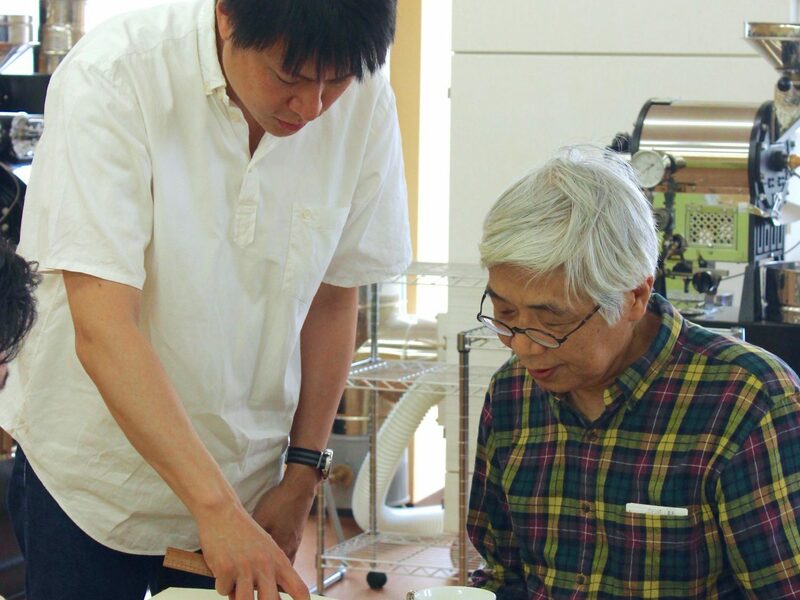 Under the supervision of coffee master, Mr. Muneo Morimatsu, OJI Masanori was able to design this master piece. 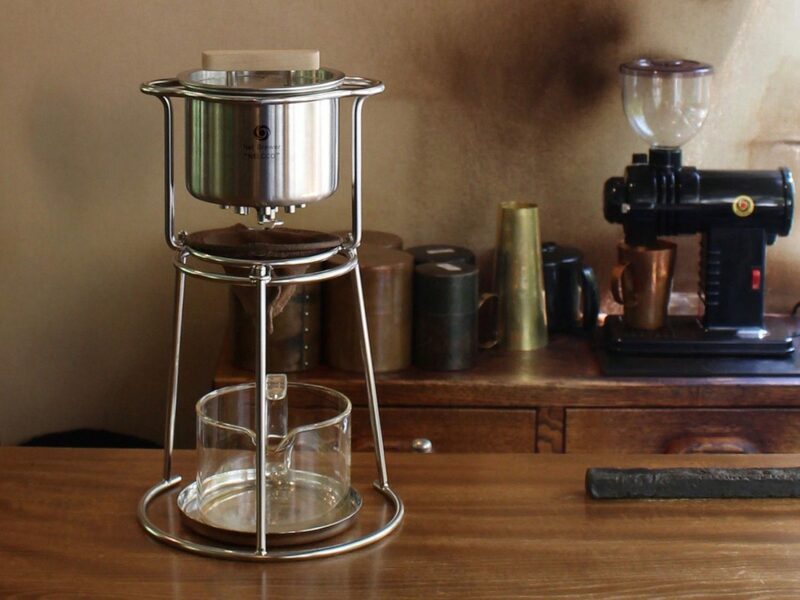 Mr. Morimatsu believed that the ultimate method of brewing coffee is by using pour over nel filters. 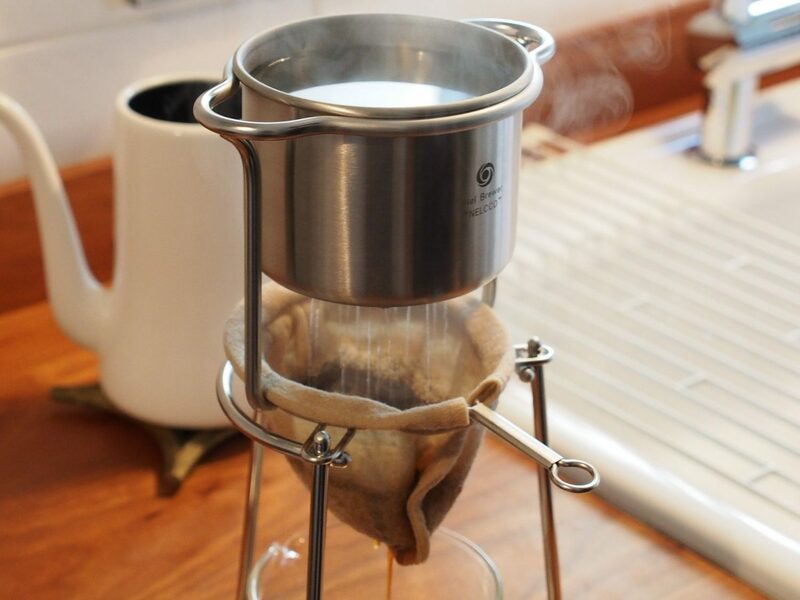 He wanted for everyone to be able to make coffee by using nel(fabric) filters. Nel filters catches the impurities of the coffee beans allowing the coffee to be transparent and not muddy. At the same time, it allows the oils of the coffee to pass through, which is very important, as it is where the aroma of the beans remain. This is why the extraction by nel filters are the best method for making coffee. The nel filter used for NELCCO is made of hemp. Hemp has been used in Japan for many years. It is a popular material as it does not use any agricultural chemicals nor fertilizers and it helps the soil to improve during its cultivation. It is a washable material and it can be used to make coffee many times. 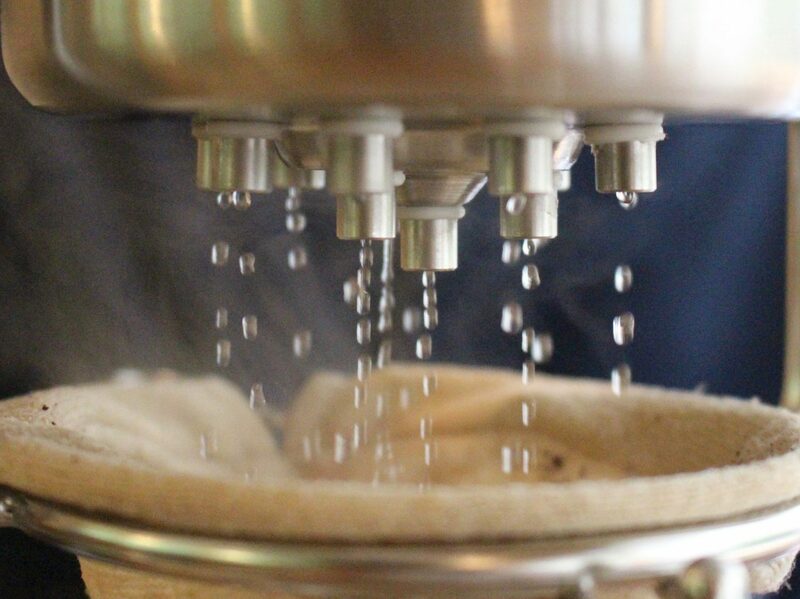 The dripper, where the hot water is poured into, has 13 nozzles with holes of 6mm diameters each. 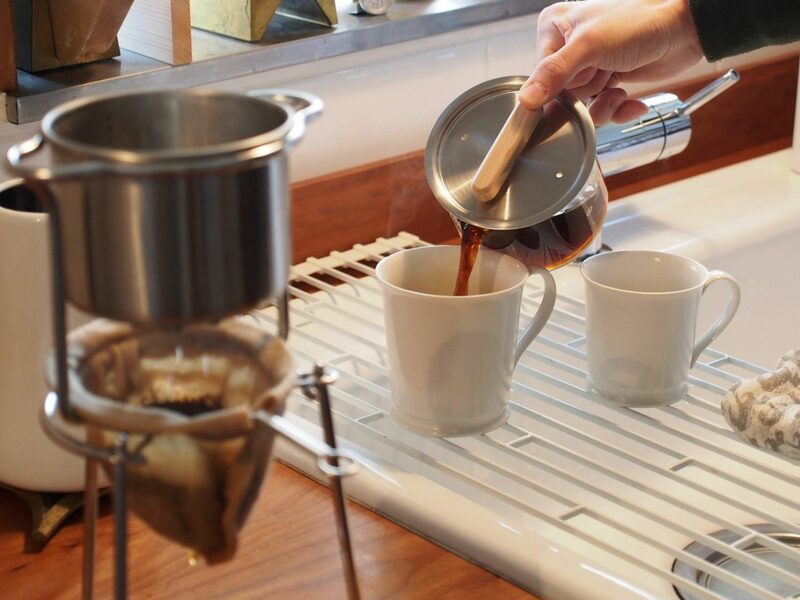 The hot drops of water are designed to fall on top of the grind coffee just like as if it is poured by hand. 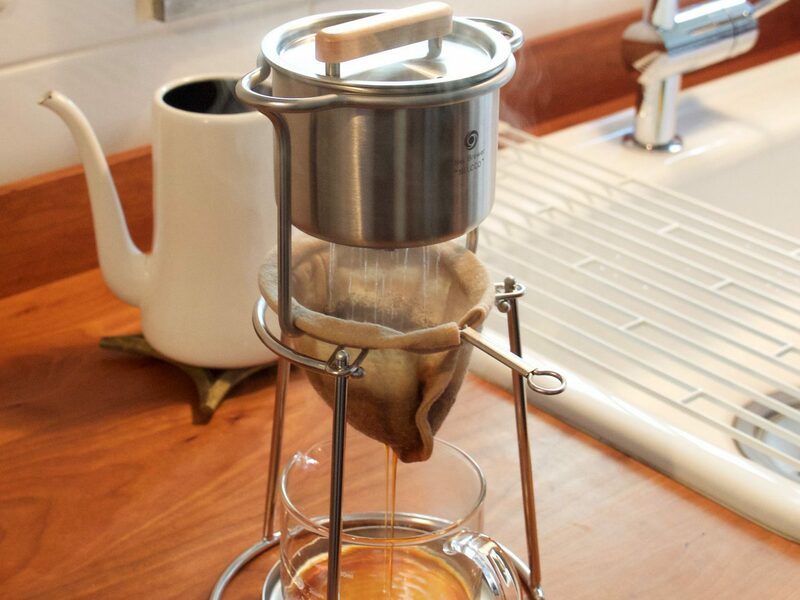 Then the coffee is steamed inside the nel sock and filtered as well, creating the best nel drip coffee!